For the next two weeks, The Atomic Geeks and Nerd Lunch podcasts are having a summer crossover extravaganza. To start things off, I am the first guest ever on the podcast Classic Film Jerks. 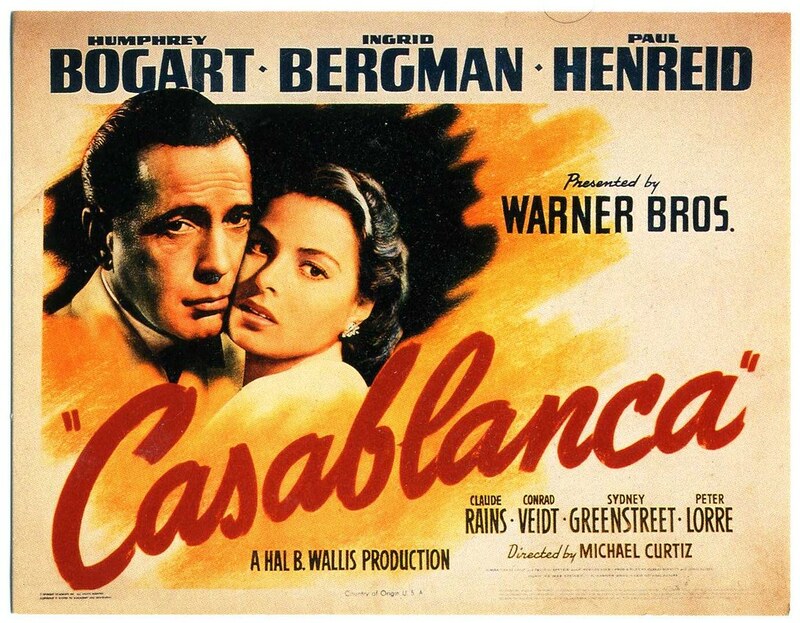 I am brought in by Digio and Bloom for Episode #8 in which we watch and discuss the Bergman/Bogart classic, Casablanca. The three of us talk about the movie, if there was anything we liked/disliked about it or if anything stood out as being anachronistic or “out of date”. We also recast the movie if it had been made today. At the end during our recast, I blow the other guys’ minds by mentioning that there was a TV show based on this movie in 1983 starring one of the guys from Starsky and Hutch. It’s a pretty fun show. You can listen to this podcast on iTunes or check it out on the Classic Film Jerks website.